The British Columbia Automobile Association (BCAA) started operations 100 years ago and is affiliated with (CAA) Canadian Automobile Association and (AAA) American Automobile Association. They serve customers and more than 800000 members in Yukon and B.C. The BCAA provides home insurance, Evo car share, auto service, travel insurance, car insurance products and roadside assistance. They have more than 100000 partner locations all over the world and members enjoy roadside assistance in U.S., Canada and around 120 countries. The Royal & Sun Alliance Insurance Company underwrites their auto insurance policies for the optional auto coverage. (ICBC) Insurance Corporation of British Columbia underwrites the basic Autoplan coverage. 2.0.1 All BCAA car insurance policies include the following coverage too. BCAA offers discounts on car insurance policies and members get added benefits when they enroll as a BCAA member. They offer savings based on several factors. Some of the criteria are as follows. 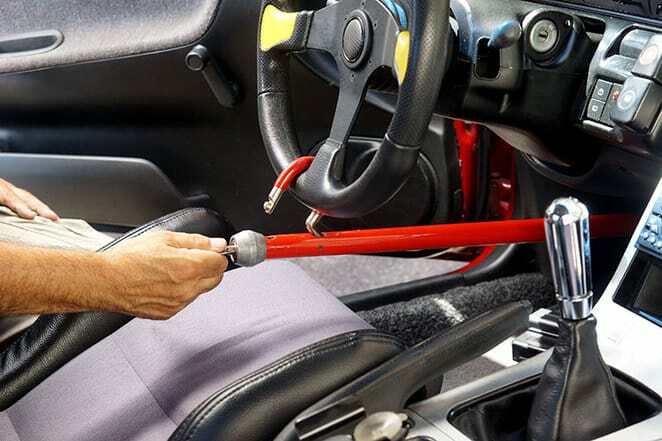 Anti-Theft Device Savings: You may get a 5% on your Comprehensive coverage premium if you install an anti-theft device. BCAA Membership Savings: When you get a BCAA membership then you may get up to 10% discount. (ESC) Electronic Stability Control Savings: When you equip your car with ESC then you may get a 5% discount on your Collision coverage premium. Fuel Efficient Savings: If you drive a qualified fuel efficient car as per Natural Resources Canada then you may get a 5% discount. Multi-Line Savings: You may get up to $40 discount every year when you buy both your home and car insurance from BCAA. Multi-Vehicle Savings: If you insure 2 or more cars with BCAA then you may get a 10% discount on your car insurance premiums. Collision: This coverage helps you to claim for damages due to a collision with another car, object or roll over as result of the impact. Examples include hit and run accident. Comprehensive: You may claim for damages that are not caused by a collision. Examples include theft, vandalism, riots etc. Third-Party Liability Excess: The coverage helps you to claim for damage or injury to a third party due to your fault and BCAA recommends a coverage limit of minimum $3 million. Preferred Driver Package: This includes the enhanced loss of use and Rental Vehicle Coverage with Travel Benefits. Personal Property Coverage: You get $500 coverage to either replace or repair the personal contents that someone steals from your car. This does not include items that are permanently attached to your car. No Deductible Glass: The coverage helps to replace damaged windshield and glass and there is no deductible. Smash & Grab Bundle: This coverage is a combination of Personal Property Coverage and No Deductible Glass for a single discounted annual premium. Evenings and Weekends Coverage: You get savings on Collision coverage premiums if you do drive during the day to commute to work. All BCAA car insurance policies include the following coverage too. 1 accident forgiveness: There will be no loss of discount or penalty after 1 accident during a 6 year period. No limit on coverage: There will be no coverage limit specified for sound equipment that is permanently attached in the vehicle will be none. Guaranteed repairs: When you repair your car in an approved BCAA auto repair facility then those repairs are guaranteed. Locks are re-keyed: When someone steals your car keys then you may claim for up to $1500 replacement and do not pay deductible. Pet Coverage: You may claim for injuries to pets in a collision up to $1000 and claim for veterinary expenses. If you wish to cancel your car insurance for any reason you may inform your broker and they will help you with the cancellation process. BCCA may issue a refund if any as per your policy term. In case you wish to drive and are switching your insurance then it is a good idea to get the other insurance coverage in place so that there is no lapse in insurance. They may charge you a cancellation fee if you cancel early. You may not pay a cancellation fee if you cancel at renewal rather than at midterm. To file a car insurance claim you may call the claims department 24/7 on the contact numbers. You may contact 604.520.8222 when you contact from the lower mainland. The number to call from outside lower mainland is 1800.910.4222 and you may contact 1800.910.4222 from outside BC. To contact the head office about your car insurance claim you may call 604.268.5260. When you call to report the claim they may ask you some details about loss. You may provide the date, time and location of the collision or incident. You may get a BCAA car insurance quote online when you fill in some details about the driver and the vehicle. The quick quote estimate helps to get an insurance quote in less than 5 minutes. There is also an option to call 1800.811.5900 to get a quote as per your insurance requirement. There are many methods to contact BCAA for your car insurance needs. Phone: You may contact 1800.811.5900 to get in touch with BCAA. Existing members may call 1888.268.2222. To speak about an insurance claim you may call 604.268.5260. Mail: The mailing address to write to BCAA head office is 4567 Canada Way, Burnaby, BC V5G4T1. We are not affiliated and make no representations or warranties, recommendations or endorsements of BCAA Insurance. This article is our review of BCAA Insurance for information purposes only. The logos, trademarks, and copyrights mentioned in this article belong to the BCAA Insurance.